From the day you start idly glancing through real estate listings to the moment you sign the last piece of closing paperwork, the process of buying a house typically takes months. Much needs to happen during that time: showings, making an offer, completing a loan application, appraisal, and inspection. It’s enough to overwhelm even the most organized buyer. Buying a home isn’t cheap – and not just because your house is likely to be the largest single purchase you ever make. Closing on a home is a costly endeavor too. According to Zillow, U.S. closing costs typically range from 2% to 5% of the sale price. A Bankrate survey found that combined mortgage closing, origination, and third-party costs – which can all be lumped together under the “closing cost” umbrella – average $5,078. In the survey, Texas reports the highest mortgage closing costs, while Nevada has the lowest. The good news is that closing costs aren’t solely determined by geography, nor completely set in stone from the moment you choose a lender. It’s possible to comparison shop for some individual components of your total closing bill, such as title insurance, and to meaningfully reduce the cost of items that you aren’t permitted to shop around for. At the same time, you’re responsible for paying some items up front at closing, before they’re technically due. These are known as “prepaids,” and they typically include escrow expenses such as private mortgage insurance, homeowners insurance (hazard insurance), and property taxes. You need to bring sufficient funds to closing to cover your prepaids. Loan Estimate: This is a plain-language document that your lender is legally required to provide you prior to closing. The loan estimate outlines all your closing items with best-guess estimates or estimated ranges for their actual costs. It also clearly indicates which items you’re permitted to shop for. Settlement Statement: This is the official summary statement of the real estate transaction, typically presented at least one business day prior to closing. Also known as a HUD-1 statement, the settlement statement includes all closing costs, plus the purchase price, down payment amount, and broker commissions. Paid Outside Closing: This term, usually abbreviated “P.O.C.” on the settlement statement, indicates that the buyer paid the cost sometime prior to closing. Certain costs, including the first year’s homeowners insurance premiums and home inspection fees, are frequently paid outside closing. There is some ambiguity as to whether fees paid outside closing can properly be termed “closing costs,” but this post does not distinguish between costs paid outside closing and costs paid at closing. Earnest Money: When you put an offer in on a house, it’s customary to include an “earnest money” check to underscore your intent to actually purchase the property. Earnest money is typically a small percentage (less than 1%, often 0.5%) of the home’s list (or your offer) price. If the seller accepts the offer, the earnest money is deposited into an escrow account. If the transaction closes without incident, the earnest money is applied toward closing costs, reducing your out-of-pocket expense on closing day. If the transaction falls through, you usually – but not always – get the earnest money back. Commissions: Broker commissions aren’t considered closing costs, even though they account for a significant chunk of the transaction value – usually 6%, split evenly between buyers’ and sellers’ agents. Commissions are taken out of the sale price before the seller receives the proceeds, so buyers aren’t ultimately responsible for paying them. There are numerous closing items your loan estimate is likely to outline, as well as some general tips to reduce your closing costs individually or in the aggregate. While this is meant as a comprehensive guide, your closing items and cost ranges could vary significantly from what’s described below, so it’s best to speak with a real estate agent or real estate attorney in your area before diving head-first into the buying process. Before you choose your lender, you theoretically have total control over your closing costs. Your choice of lender is therefore of great consequence – though, as your loan’s interest rate and terms are likely to impact your home’s final cost more than your closing costs, you shouldn’t choose a lender offering less-favorable rates or terms simply because they don’t charge as much for a home appraisal or happily waive the origination credit check fee. Home Inspection. While many lenders don’t absolutely require buyers to get a home inspection, they are strongly encouraged. A home inspection is your best shot at catching a potentially costly defect or safety issue that wasn’t apparent during prior walk-throughs. If your inspection catches a serious problem (or multiple problems), you can reduce your offer price, amend your offer to compel the seller to fix the issue, or walk away entirely. 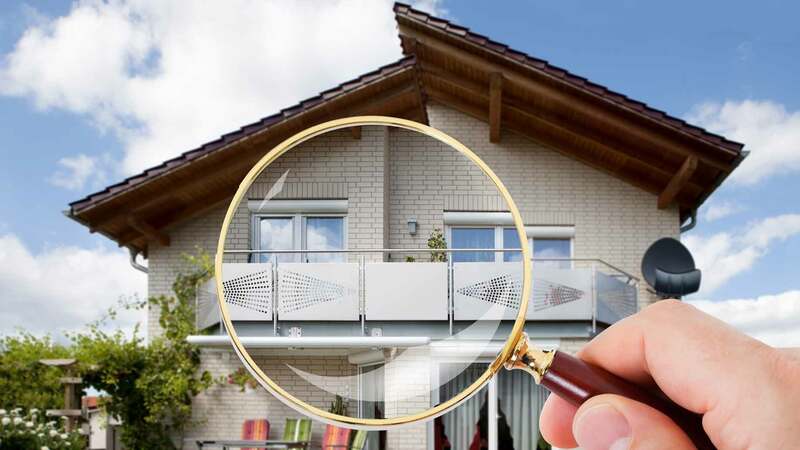 The home inspection industry is fairly competitive, so there should be numerous inspectors working in your area. Find candidates by asking your real estate agent (remembering that agents often have friends in the inspection business and thus aren’t guaranteed to be impartial), or by checking with an industry association such as the American Society of Home Inspectors. Look at online reviews and testimonials for each, check references, and interview finalists if you’re on the fence about who to select. Be sensitive to cost, but remember that a lower price sometimes means lower quality. Make your final decision based on the optimal combination of cost and experience. Cost: $300 to $500 for an average-sized house (1,500 to 2,500 square feet); more for larger homes. Payment is usually made directly with the inspector on the inspection date. Title Search. Title searches, conducted either by title companies or real estate attorneys, ensure that sellers are legally able to sell their properties. Title searches review events throughout the property’s history, from its initial platting or subdivision to the present, to identify liens, covenants, easements, and other items that affect the seller’s interest in the property or its use to the buyer going forward. Though title search costs are typically bundled into title insurance costs, they’re itemized on the loan estimate and closing statement. The best way to reduce them is to shop around for title insurance companies or attorneys, or negotiate directly with these service providers. Cost: $150 to $400, but can be higher if the property’s history is more complex. Title Insurance. There are two main types of title insurance: lender (loan) and buyer policies. Buyers customarily pay for both. Both cover the cost of fixing any defects uncovered by the initial title search. 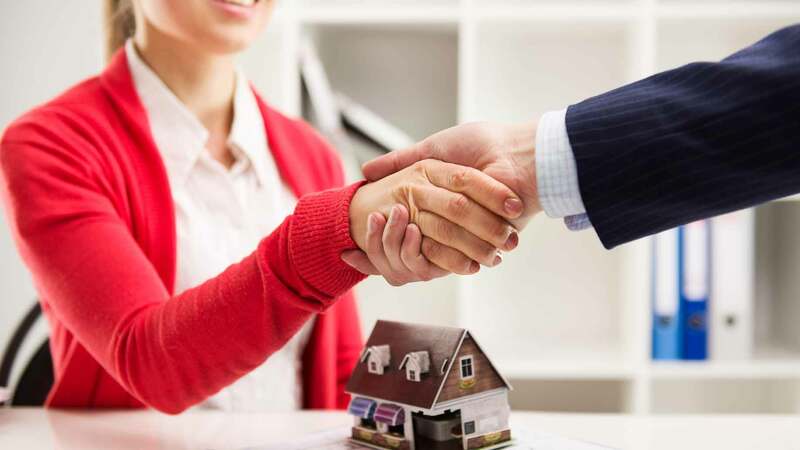 Both also protect lenders’ and buyers’ interests in the property in the event that title defects, covenants, or third-party claims are found to exist after the transaction closes. Lender and buyer policies remain in force until the respective parties no longer have interests in the property – usually when the home is sold or, for lender policies, the mortgage is fully paid off. Lender title insurance is mandatory, while buyer title insurance is highly recommended – without it, buyers have no financial recourse in the admittedly rare event that a legitimate claim arises against the property. Lenders procure their own policies from preferred insurers. Title companies, real estate attorneys, and lenders recommend buyers’ insurers, frequently the same company that insures the lender’s policy. However, buyers are free to shop around for their own policies – in fact, it’s illegal to compel a buyer to use a particular insurer. The American Land Title Association is a good comparison-shopping resource. Cost: One-time title insurance premiums range from as little as $500 to more than $2,000 total for lender and buyer policies, depending on geography and the complexity of the property’s history. $1,000 is a good ballpark estimate. Settlement Fee. The settlement fee pays for your title company’s or escrow agent’s services on closing day. The best way to reduce this fee is to shop around for title companies or agents, though settlement fees may not vary much within markets. Cost: Typically $2 per $1,000 in sale price (e.g., $400 on a $200,000 house), but can be higher. Loan Application Fee. Sometimes known as a “processing fee,” the application fee covers the cost of the initial loan application processing. Ask your lender directly whether its application fee includes the cost of a credit check. If it does, make sure you’re not charged separately for your credit report. Also, the application fee is sometimes bundled into the origination fee and not listed separately, so don’t be surprised if you don’t see it – just know that your origination fees will likely be higher as a result. Cost: $200 to $500. Loan Origination Fee. The loan origination fee covers the lender’s costs (and then some) during the underwriting process. It’s sometimes indicated as a single line item, and other times broken into several pieces (including application and processing). Most loans have origination fees, though some lenders offer “no cost” loans that make up for a lack of origination fees with higher interest rates. Cost: Usually 0.5% to 1.5% of the home’s purchase price. Fees are typically expressed as “points,” with one point equivalent to 1% of the purchase price. Loan Discount Fee. Lenders sometimes offer to reduce interest rates slightly in exchange for a sizable one-time payment – known as the loan discount fee – which is also expressed as “points.” If your lender offers a discount fee, carefully calculate whether it makes sense to take the deal, as the upfront payment amount could be higher than what you’d save over the life of the loan. Cost: Usually 0.5% to 4% of the loan value. As with the origination fee, one point equals 1% of the loan value. Keep in mind that one point does not necessarily reduce your interest rate by 1% – the difference is usually much more modest. Credit Report. Lenders often require buyers to pay for any credit reports ordered during the origination process. However, they’re sometimes willing to relent when buyers confidently and forcefully ask them to knock off their credit report fees. Cost: $20 to $60, depending on report counts and sources. Flood Certification and Monitoring. Flood certification fees cover the cost of pulling up and reviewing your area’s flood hazard maps to determine whether your home lies within a flood-prone area. Lenders sometimes charge an additional flood monitoring fee that covers the cost of maintaining an accurate measure of flood risk over time, as flood hazard maps can change frequently. Flood certification is critical if you require flood insurance, so this fee is well worth paying. Cost: Approximately $20 for flood certification; up to $50 for flood monitoring. Lender Appraisal. Lenders always order appraisals at some point during the underwriting process, usually early on. Appraisals are typically conducted by outside appraisers, not bank employees. The primary purpose is to ensure that homes’ values meet or exceed buyers’ offer prices. As lenders are not willing to lend more than the value of the home, and are sometimes reluctant to lend at higher than expected loan-to-value ratios, a low appraisal can be a serious roadblock to a deal. For the buyer, the upside to a low appraisal is that it can compel the seller to agree to a lower price. However, the seller may also take issue with a low appraisal and threaten to walk away from the deal. It’s not uncommon to order a second opinion (from a different appraiser) following a low appraisal. Cost: $250 to $500; roughly double if a second appraisal is required. Broker Fee. Buyers’ agent commissions come from seller proceeds, so you don’t have to worry about paying your the lion’s share of your agent’s compensation directly. However, agents employed by brokerages or realty groups are usually required to collect a service or referral fee on their employer’s behalf. While you can’t shop around to reduce your broker fee after choosing a lender, you can control or eliminate it by working with an agency that charges lower broker fees, or none at all. Cost: Widely variable – from token sums less than $100, to more than $500. Recording Fee. City or county governments typically charge to record real estate transfers in the public record, an essential step in any real estate transaction. Cost: Widely variable, depending on local customs, property values, and other factors; $100 is a typical average, but can be much higher. Transfer Taxes. City, county, and possibly state governments charge transfer taxes on real estate transactions that occur within their jurisdictions, usually as a function of local property values and local zoning. In some cases, buyers are required to purchase tax stamps in a separate line item on their settlement statements. Like property taxes, transfer taxes are highly variable. Cost: Widely variable, depending on local customs and property values, ranging anywhere from several hundred to several thousand dollars. You need to pay these costs in advance at closing. Note that you may also be required to deposit an upfront escrow buffer to cover unexpected upward adjustments in tax, insurance, and HOA expenses. The buffer can either be built into your total prepaids or broken out as a separate line item. First Month’s Interest. Lenders usually require advance payment of mortgage interest scheduled to accrue between closing and the first full mortgage payment (principal and interest) due date. Cost: Up to one month’s mortgage interest, depending on the closing date (less when closing is later in the month). Homeowners Insurance Premium. Lenders virtually always require proof of homeowners insurance prior to closing. Once you choose a policy, you can reduce cost by choosing a higher deductible. If you already have an insurance policy, such as auto insurance, consider bundling your new home insurance policy with the same insurer – a move that can knock hundreds of dollars off your combined annual premium, relative to what you’d pay on two separate policies. Generally, you need to pay your first year’s premium at, or prior to, closing. If your home requires flood, earthquake, or other special hazard insurance, you likely need to pay your first year’s premiums for those policies up front as well. Cost: Widely variable, depending on factors such as geography, home construction and age, deductible, and property value. According to the Insurance Information Institute, the average annual U.S. homeowners insurance premium in 2013 was $1,096, ranging from a low of $561 in Idaho to $2,115 in Florida. Private Mortgage Insurance Premiums. 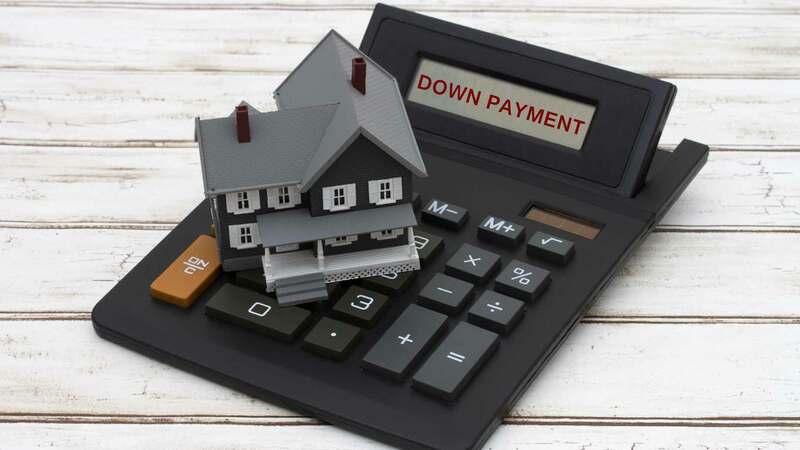 Buyers planning to borrow more than 80% of their homes’ value (over 80% loan-to-value) must pay for private mortgage insurance (PMI), which protects lenders’ interest in the event of delinquency. PMI premiums are paid monthly out of escrow, but lenders require buyers to make advance payments to cover the first one to two payments. Cost: One to two months’ worth of PMI premiums, which are a function of home value and LTV ratio. Advance Property Taxes. Advance property taxes are usually sufficient to cover property tax obligations (city and/or county) that accrue between closing and the first property tax due date, which can fall anywhere from less than one month to six months from closing. However, the advance tax amount can be greater if the lender requires. Cost: Widely variable. Advance Homeowners Association Dues. Buyers in communities served by homeowners associations (including gated subdivisions and condo buildings) usually pay advance homeowners association dues through the end of the first payment period, which can last as long as a year. Lenders that bundle HOA dues into buyers’ escrow accounts add these advance dues to their buyers’ escrow balances. Buyers without escrow-paid HOA arrangements may be required to pay the HOA directly, in advance of closing. Cost: Widely variable. 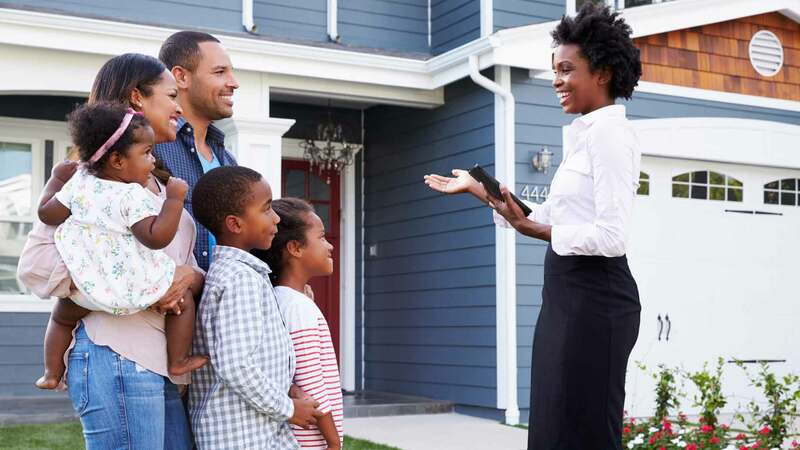 Even though you can shop around for it, homeowners insurance (hazard insurance) is also considered a prepaid, as you generally need to pay at least one year’s premium at closing if you haven’t done so outside closing. The common closing costs described above are required or strongly encouraged in most residential real estate transactions. By contrast, some of the following costs are only required by law or custom in certain states. Others are deemed optional across the board or are only advisable under certain circumstances – such as gas line inspections in older homes with natural gas infrastructure, or pest inspections where termites are common. Sewer and Water Line or Septic Inspection. Sewer lines are famously prone to compromise, even in relatively new homes. Untreated solid waste and inorganic debris clogs can seriously damage sewer lines, sometimes beyond repair. So too can deep tree roots, which also threaten clean water lines in homes served by municipal water systems. Both hazards can affect septic systems as well. Sewer, septic, and water line inspections aren’t necessary for newer properties and properties with recently upgraded water and drainage systems. However, properties with red flags, such as mature trees perched directly above an outgoing or incoming line, are prime candidates for camera inspection by licensed plumbers. Inspections can pay for themselves many times over, as repair or replacement costs for damaged lines can exceed $5,000 – and may not be covered by homeowners insurance. Cost: $100 to $300. Well Test. In rural and semi-rural areas without municipal water service, well tests confirm that water wells have adequate water flow, and that the water they draw upon is safe and pure. Lenders frequently require evidence of successful well tests prior to closing. Well tests are mandatory for certain loan types, including VA and FHA loans. Most plumbing and well-service companies offer well tests, as do some home inspectors. Cost: Widely variable, depending on thoroughness; less than $100 to more than $300. Gas Line Inspection. Homes with natural gas service are prone to gas leaks, particularly on older lines and where renovations or repairs have been made nearby. Unfortunately, standard home inspections don’t cover gas lines, beyond making sure that appliances served by the lines (such as ranges) function properly. Instead, plumbing and HVAC companies offer special gas line leak inspections, which measure line flow and pressure within lines and identify leaks’ sources and severity. Cost: Widely variable; typically $100 to $500, depending on the size of the house, number of lines, and presence of leaks. Radon Testing and Inspection. Radon, a radioactive gas that naturally occurs in certain types of bedrock, is the second-leading cause of lung cancer in the U.S. Buyers in radon-prone areas (much of the northern U.S. and Intermountain West) are encouraged to test for radon prior to closing, either with home testing kits or through a certified professional. Professional testing is more reliable, but far more costly. Cost: $15 and up for home testing kits; up to $150 for professional testing. Termite and Pest Inspection. 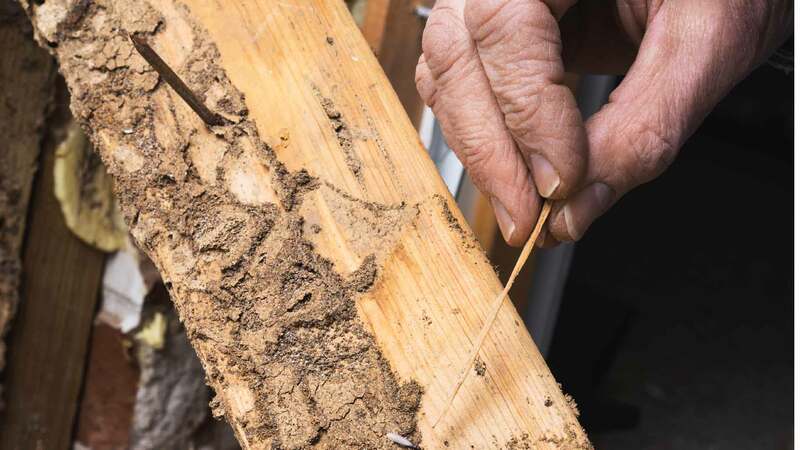 Buyers in termite- and ant-prone regions are highly encouraged to spring for termite and pest inspections, which can uncover latent or early-stage infestations before they get out of hand. By contrast, standard home inspections usually spot pest damage only after it has become a costly, potentially deal-breaking problem. Many pest control companies offer pre-closing home pest inspections. Cost: $50 to $150; more for larger homes and inspections covering a wider array of pests (such as rodents). Lead Paint Inspection. The United States outlawed lead paint in 1978. Homes built prior to that year, and not gut-renovated in the meantime, could contain lead paint. Lead paint often lurks beneath fresher coats of non-lead paint, so it’s not always obvious to the untrained eye. Unfortunately, this makes lead paint inspections more expensive than you might think. Lead paint doesn’t pose a serious health risk for adults, but you should definitely consider an inspection if you have small children. Cost: $300 to $500; more for larger homes. Roof Inspection. Conducted by roofing companies or general contractors, this supplemental inspection subjects roofs to exhaustive reviews. A roof inspection is far more thorough than the educated glances roofs get during standard buyer-ordered home inspections. Roof inspections are therefore recommended for buyers of older homes, especially when buyer-ordered inspections turn up potential roof issues. Cost: Roughly $100 for average-sized homes; more for larger homes. Lender Inspection Fee. Lenders rarely conduct their own home inspections when underwriting loans on older homes. The appraisal is sufficient to determine existing homes’ value, and defects or safety issues fall under the “buyer beware” rubric. However, new construction home financing is a different matter. Lenders typically commission new-home inspections shortly before the closing date. Lender inspections primarily certify that new homes are finished and ready for safe occupancy. These inspections are less thorough than buyer-ordered inspections, and therefore less costly. Cost: $50 to $150. Survey Fee. Some lenders require property surveys, which determine parcels’ precise boundaries and relationship to adjoining parcels, locate improvements on the property, and identify easements that could impact future improvements (such as access roads or swimming pools). These must be completed by professional surveyors, whose work does not come cheap. However, many lenders are content with so-called house location surveys, which are less exacting (and less expensive) than boundary surveys. Cost: $250 to $500 for house location surveys; $500 to more than $1,000 for boundary surveys. Attorney Fees. In some states, real estate transactions are supervised by attorneys, not title companies or escrow agents. Buyers are typically responsible for compensating their own attorneys, as well as their lenders’ attorneys. Attorney fees replace title company or escrow agent fees, but can be higher. Cost: $500 to more than $1,000, depending on the complexity of the transaction and attorneys’ rates. Mortgage Insurance Application Fee. Some lenders charge separate fees for mortgage insurance application processing. This practice is somewhat dubious, and many lenders are willing to reduce or eliminate these fees when asked. Others bundle them into loan application fees or origination fees without itemizing them. Cost: Usually less than $100. Notary Fee. This fee, usually charged by a title company or escrow agent, covers a notary’s sworn testimony that transaction parties are who they say they are and that the transaction occurred as recorded. It’s often possible to negotiate notary fees away. Cost: Usually less than $50. Courier Fee. If they wish to expedite document delivery for closing day, title companies or escrow agents bill buyers for the necessary courier costs. This is another garbage fee that settlement agents are often willing to waive if pressed. Cost: Usually less than $30. Not content just to shop around for the best deal on individual closing items? These tips can reduce your total closing bill – or, if you’re closing in a buyer’s market, possibly eliminate your closing costs entirely. This is probably the most effective, potent strategy to reduce your closing costs without raising your loan’s principal or interest rate. Depending on the temperature of your local real estate market and your seller’s motivation, it may be possible to convince the seller to partially or wholly shoulder your closing costs. Even a small gesture on the seller’s behalf can keep a lot of cash in your pocket. For instance, say your closing costs amount to 4% on a $200,000 loan. That’s $8,000. Every 10% that the seller agrees to cover reduces your closing costs by $800. Likewise, the seller’s openness to covering a single big-ticket closing item – for example, a $1,000 title insurance policy or property taxes for your first six months – can significantly reduce your closing outlay. Seller-paid closing costs are first proposed in buyers’ purchase offers, and often become part of offer negotiations. Once a purchase agreement is made, seller-paids can be amended at any time prior to closing. If you’re not sure whether the seller (or your local market) will accept lots of seller-paids, consider offering a higher sales price to offset seller-paid costs. This creates a breakeven scenario for the seller, while allowing you to finance the additional costs at your loan’s interest rate. The most effective way to reduce closing fees that you are not allowed to shop around for is simply to shop around for lenders with the lowest closing costs overall. You can (and should) visit with several lenders and solicit loan estimates from each. To shop, do an Internet search for mortgage rates in your area, or visit an aggregator site such as Zillow or Realtor.com. Review each lender’s rates and terms, and then contact lenders that pique your interest for a loan estimate. When reviewing each lender’s loan estimate, pay close attention to major costs such as origination fees. Whereas lenders frequently drop smaller fees when challenged, they tend not to give on their bread-and-butter charges. Lenders are surprisingly flexible on smaller add-on fees, such as credit report fees, courier fees, and even loan application fees. In some cases, a pointed question about a particular fee – “what does this actually cover?” – is enough to erase it from the settlement statement. In other cases, lenders are willing to negotiate certain fees downward, or partially cover them (e.g., the lender appraisal). Lender flexibility is inversely proportional to market temperature. In hot markets, buyers have limited negotiating power. In cool markets, completing the sale is more important than squeezing every last dollar out of confident buyers. Real estate agents are even more sensitive to market fluctuations than lenders. Though it’s not as common as asking for seller-paids or negotiating with lenders, it’s also not unheard of for buyers to ask their real estate agents to put some portion of their commissions toward closing costs. Nevertheless, in a truly abysmal market, an agent may be willing to set aside 1% to 2% of a home’s sale price, reducing the customary 6% commission to 4% or 5%. That’s enough to reduce a 4% closing cost burden by 25% to 50%. Though agent-paid closing costs are never assured, some newer real estate players are more reliable on this point. For example, Redfin normally refunds part of its customary commission to buyers, usually by offsetting closing costs. Redfin’s policy doesn’t apply to short sales and is subject to lender approval, but the majority of its buyers benefit all the same. This is a gimmicky-sounding strategy that actually works. By closing in the last week of the month, buyers can reduce the prorated mortgage interest share due at closing. On a loan that accumulates $20 interest every day, the buyer saves $500 by pushing closing back from the 1st day to the 25th day of a 30-day month. Mortgage lending is both lucrative and competitive. Many lenders, especially larger companies such as Bank of America and Wells Fargo, willingly accept slimmer profit margins to get more borrowers in the door. Some lenders offer loans that roll closing costs into principal, effectively financing them at your mortgage rate over the life of the loan. However, rolling closing costs into your loan principal doesn’t actually reduce the amount paid toward your closing costs. 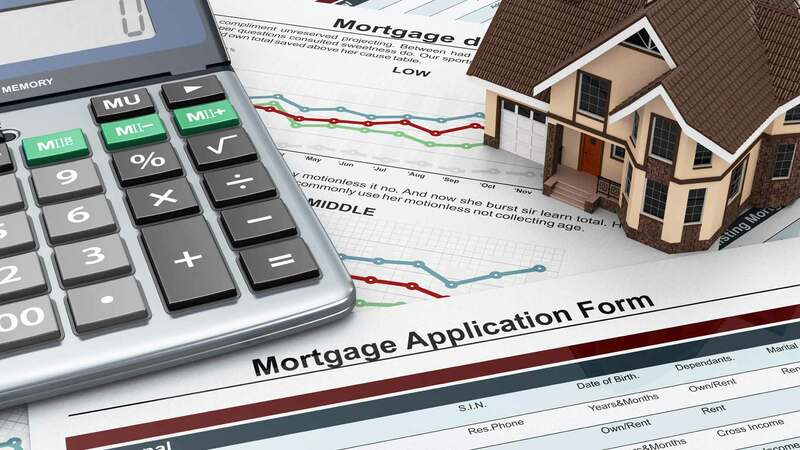 In fact, it’s likely to increase the total cost of your home over the life of your mortgage, due to a larger principal and possibly a higher interest rate. But it can dramatically reduce what you need to pay at closing. Rolling closing costs into your loan is a good strategy if your loan amount is well below the home’s appraised value, meaning the additional principal won’t push your LTV above a level the lender is comfortable with. However, if the additional principal does push your LTV above 80%, you’ll be on the hook for a monthly PMI payment. Rolling closing costs into your loan principal also makes sense if you’re planning to sell within a few years. Since monthly interest payments are higher with a rolled loan (due to a higher principal or higher interest rate), selling relatively early in your loan’s term reduces your total interest expense and mitigates the final cost of rolling your closing fees. By contrast, if you expect to remain in your new home for decades, rolling closing costs into your loan might not make financial sense. Also known as lender credit mortgages, no-closing-cost mortgages work for buyers who don’t want to (or would struggle to) put liquid finances toward their closing costs. Rather than bundling closing costs into your loan’s principal and leaving the interest rate unchanged, no-closing-cost mortgages simply swap closing costs for a higher rate. Though they’re comparable to rolled loans in some ways, no-closing-cost mortgages are more widely available in purchase transactions. Like rolling closing costs into your loan, opting for a no-closing-cost mortgage can actually increase your total home ownership costs, because no-closing-cost mortgages almost always have higher interest rates – typically 0.125% higher than a comparable loan with closing costs. Depending on the size of your credit, it could exceed the interest cost of the higher interest rate over the life of the loan, more or less offset that interest cost, or come up short (and raise the total cost of the loan). Generally, the longer you plan to stay in your home, the larger the credit must be to equal or exceed your interest costs. You certainly shouldn’t join the armed forces just to get a better deal on a house. However, if you are in the military, there’s no reason to overlook the financial perks of service. VA loans are available to active-duty military members (after six months of service, except for National Guard and Reserve members), veterans, and spouses of service members who died on active duty or as a result of a service-connected disability. They come with some attractive financial benefits, such as the ability to originate a loan with no down payment. What’s more, regulations governing VA loans prohibit lenders from charging certain closing costs, including broker fees, attorney fees (excluding title work), and pest inspection fees. Additionally, when lenders charge origination fees on VA loans, they’re prohibited from charging loan processing or closing fees. Reducing your down payment can free up lots of closing cash. For example, knocking 5% off the down payment on a $300,000 house frees up $15,000 – probably enough to cover the bulk of the transaction’s closing costs. There are two catches here. First, the seller has to accept your offer. Since sellers tend to favor offers with higher cash components, your seller could view your low-down-payment offer with skepticism – particularly if your local market is hot and the seller thinks there’s a better offer out there, or if the seller is actively weighing multiple offers. The other consideration is private mortgage insurance. The higher your LTV ratio, the longer you’ll be on the hook for PMI, which you’re required to pay until you approach 80% LTV. Depending on your monthly PMI cost, a lower down payment can add hundreds or thousands of dollars to the total cost of your loan. Title companies and escrow agents usually allow buyers to cover their down payments and closing costs by bank check or wire transfer. If yours allows both, always go with a bank check. Bank checks typically cost just $1 or $2, and may even be free for preferred customers or members. (When we bought our house, my wife and I cut a check from our joint account at a credit union that waived bank check fees for members. By contrast, outgoing wire transfers can cost $10 to $20. Not a life-changing difference, to be sure, but certainly enough to buy a latte or glass of wine to celebrate your new home. You can expect closing costs to account for up to 5% of your home’s purchase price, depending how they’re defined. The share of your costs paid up front, over time, or by others will depend on your ability to act on the tips described here. That ability, in turn, is likely to depend in part on factors beyond your control, such as the seller’s motivations and your local market’s temperature. Once you accept that it’s not always possible to exert total control over the closing process, you’ll likely be more serene about the whole affair – and better able to focus on trimming the expenses over which you do have some control. Are you buying a house? What are you doing to manage your closing costs?